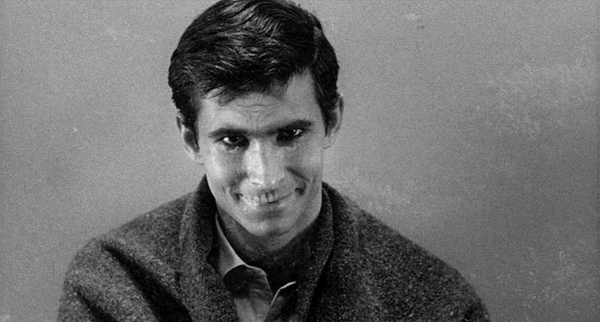 ← Two elements each of these seminal horror movies since 1960 have in common, Part I.
Norman has a little bit of his mother in him. Part one of this article can be found here. As far back as 1908’s first known film adaptation of Strange Case of Dr. Jekyll and Mr. Hyde (no longer in existence) and 1919’s The Cabinet of Dr. Caligari, horror movies have found the psychological explorations of “identity” to be effective proving grounds for stories that unsettle the mind. It is, after all, the major component of the self; whether attributed to a character in a story in terms of perspective, ideologies, beliefs and experiences, or the individual watching the film whose own experiences, perspectives and beliefs may be preyed upon by the storyteller manipulating their greatest fears. Story, as it turns out, was crucial to our evolution—more so than opposable thumbs. Opposable thumbs let us hang on; story told us what to hang on to. Story is what enabled us to imagine what might happen in the future, and so prepare for it— a feat no other species can lay claim to, opposable thumbs or not. Story is what makes us human, not just metaphorically but literally. Recent breakthroughs in neuroscience reveal that our brain is hardwired to respond to story; the pleasure we derive from a tale well told is nature’s way of seducing us into paying attention to it. This entry was posted in Hitchcock, Perspective and tagged Carrie, Halloween, Horror, Identity, Night of the Living Dead, Psycho, Rosemary's Baby, Scream, The Exorcist, The Omen, The Shining, The Texas Chainsaw Massacre. Bookmark the permalink. 2 Responses to Two elements each of these seminal horror movies since 1960 have in common, Part II. Pingback: The Babadook: when allegory meets expressionism in a therapeutic horror classic.